Forget those crash diets and extreme physical activities that trainers ask you to follow, in order to lose weight and get fitter. If you alter your lifestyle with these simple and basic habits, you will automatically shed that extra fat and will be on track of becoming healthier and fitter. Do not laze around on the couch all day long. Get off it. Avoid using the television remote. Get up at intervals to grab a glass of water. Take mini walks in the house. Indulge in some or the other work, however big or small. To avoid unnecessary intake of food, identify if your hunger is genuine or is it the one caused out of boredom?! Eat only and when you’re hungry. Do not pop in food simply because someone offered it to you or simply because you’re bored and have nothing to do. Eat a heavy breakfast to stay away from needless hogging of food throughout the day. Eat cereals, fruits, eggs, and other healthy items for breakfast. Say no to junk food. Also stay away from street food, oily dishes, and other spicy food items. These can cause fat accumulation and digestion problems, in addition to affecting your skin and overall health. Regular checkup for monitoring your BMI & assessing Obesity Index is of utmost importance. Don’t hog! Eat lesser quantities of the food items you pick to eat. Eat them in the right proportions. Eat the right amounts of carbohydrates, vitamins, proteins and so on, just as much as required by your body. Always hold on to eating when your 80% full. Do not over eat as this can cause you problems. Keep that balance 20% free. It will keep you feeling light and will also make you healthier in the due course of time. Sleep for a good 6-8 hours daily. Your body needs rest. Lack of sleep, or more of it, can cause health disorders and may affect a healthy living. Getting the right hours of sleep helps in maintaining your body weight and thus keeps weight accumulation at bay. Stress causes a number of health problems. Click here to read more. Exercise, yoga, meditation, walk, or any other form of physical activity not only keeps you healthy, fit, and active, but also increases your concentration power and balances your mind. Make it a point to get yourself checked-up every 6 months or 1 year. This will help you in keeping a good track about the way your body is functioning. It will help you to make the necessary changes in your life in case anything is diagnosed. 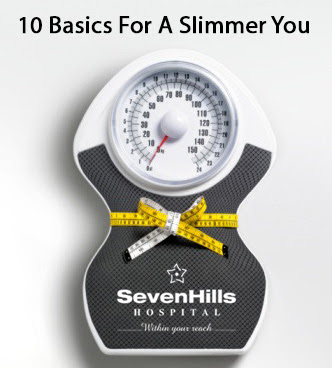 To get a health check-up done at SevenHills Hospital, view our list of healthcare packages.